I don’t know about you, but I feel like everywhere I turn I’m seeing watermelon cocktails. After checking out a few of the recipes, I must admit that I was intrigued by the simplicity of some. And so this past weekend Tori & I set out to find what liquor mixed best with the simplest recipe: frozen watermelon, liquor, and lime juice. We started out by cutting watermelon into about one inch cubes putting it in a ziplock bag and freezing it. We froze ours for only about 6 hours, and to be honest we probably should have put it in at least a day before because it started warming up way faster than ideal. If you run into the same problem you can throw in a few ice cubes. Yes this might water your drink down a bit, but with the choice between a warm “frozen” cocktail and a slightly watery drink, watery wins every time in my opinion. Once we had our limes squeezed, we got to work. In each drink we added about 1.5oz of lime juice, 2oz of liquor and a cup of watermelon cubes. Then all we had to do was throw it in a blender and voilà! A perfect cocktail was born. We started out with what I consider a staple as far as frozen fruity cocktails go, white rum. We were a little surprised, however since it is such a staple, that we didn’t love it. Somehow, when you combined rum with the watermelon and lime, you ended up with a drink that tasted like almost nothing. It was definitely too boring for our tastes. 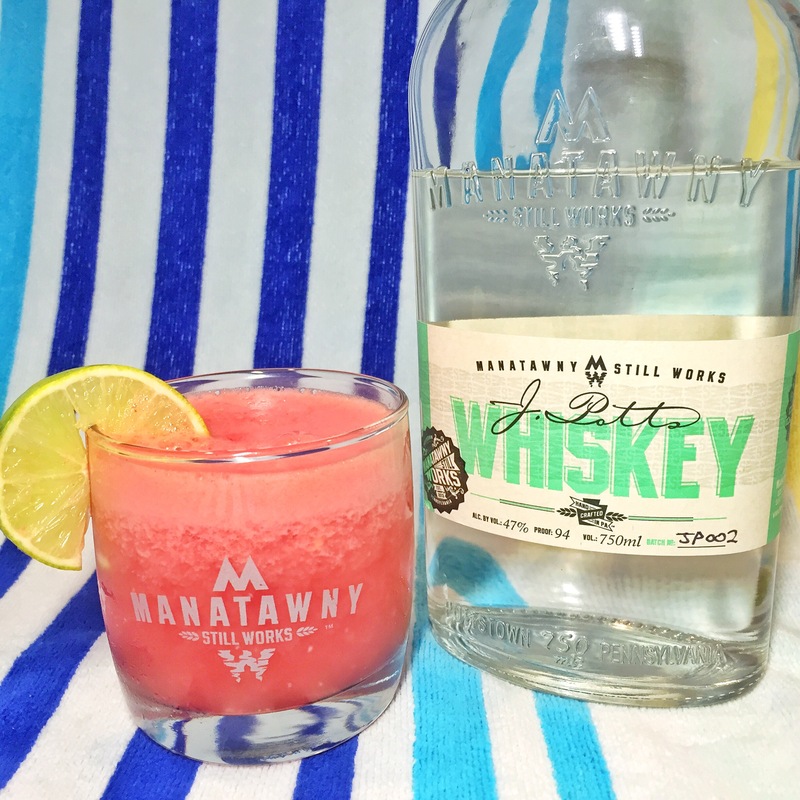 After our disappointment in the rum based watermelon cocktail, we were excited to try out one of our favorite craft liquors, Manatawny Still Works J. Potts White Whiskey. Luckily, the white whiskey did not disappoint. The end result was a cocktail with a really complex flavor that felt very sophisticated. If you’re a whiskey lover, this is definitely the watermelon cocktail you should try! As huge tequila fans, we were really hoping that the tequila watermelon cocktail wouldn’t disappoint and we had nothing to worry about. Out of all three cocktails, this was definitely our favorite. 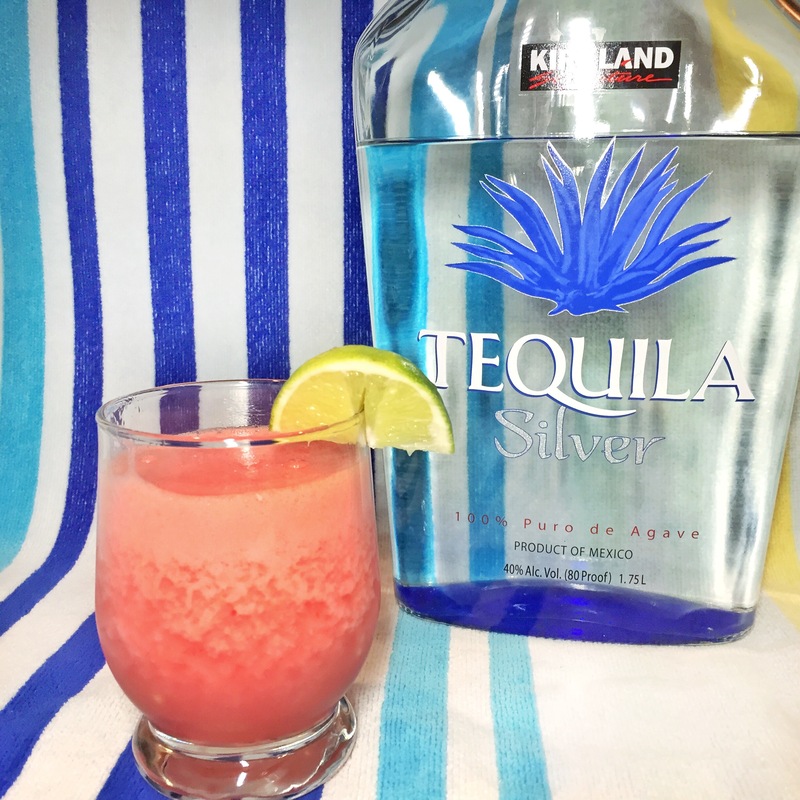 The tequila, lime, and watermelon perfectly complemented each other and resulted in a drink I could easily see myself sipping by the pool on a hot summer day. It was fresh and light enough that you could definitely have more than one without feeling too full. If you’re not a whiskey drinker or just looking for something super refreshing, this is the way to go. You can even kick it up a notch by using jalapeno infused tequila. 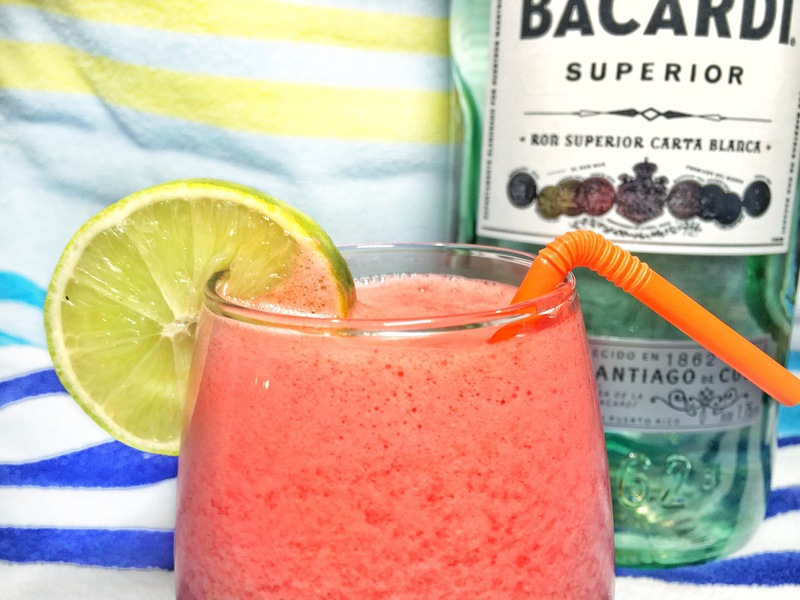 The sweetness of the watermelon will cut the majority of the heat from the jalapeno, but the jalapeno will add an extra layer of flavor that makes the drink a little bit more complex and intriguing. Have you tried making watermelon cocktails? What version is you’re favorite?